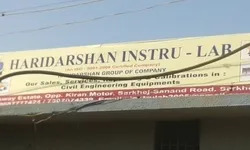 The forerunners of Testing Equipment and Instruments, Haridarshan Instru-Lab was established in the year 2015 and has been reckoned as the most established supplier and trader firm offering array of Land Surveying Instruments, Coating Inspection Instruments and Cement Testing Equipments. With help of more than decades of industrial expertise and an approach to create a robust project schedule; we have been accountable to procure top notch quality products to our clients with the brand name of Pentax, Popcon, Lineta, Nikon, Soud and Garmin. Our offered services are focused on gaining operational excellence, which are executed in a well-timed framework by trained technicians. We are also instrumental in providing best in class maintenance services. To maintain a healthy reputation in the industry and be consistent in the performance, it is important to be update with the latest technology and we do it. Our saga of success is to achieve the demand by delivering a service which is satisfactory and appreciable. Quality is the core value of our firm and it is deeply enrooted. On one hand we are known for the demolition service and on the other developing infrastructure. In both the cases, our firm has been able to achieve a standard position in the market. Since our inception, the quality is being hallmark for our organization so we follow strict quality norms to make sure that we provide immaculate products to our precious clients. Our leader Mr. Alpesh Patel is a visionary demeanor, whose valuable guidance equips us to accept the ongoing challenges and futuristic expectations of our esteemed clientele. Owing to his varied industrial expertise, every member in our team is getting the opportunities to improve the brand competency by rendering well timed services. Services AND Trading of Land Surveying AND Soil Testing Instruments. To provide international standard equipments with perfect blend of quality, price, packaging, delivery and outstanding after sale services. To understand the latest trend and particular needs of the clients we are having the best professionals who have extensive experience and knowledge in their concerned domain. We have a team of technically sound’s engineers who have dedicated to meet any challenge put forward to them. Our engineers are the asset of our firm who help us to accomplish the organizational goal. Also, our firm arranges several training sessions & industrial seminars to enhance the skill and knowledge of our professionals as per the current market trends. We are customer oriented firm and firmly believe in having long term and healthy relations with our clients. Being a client oriented entity, achieving complete satisfaction of our patrons is our primary objective. For this, we have asked our personnel to work in close sync with each other to attain all our organizational goals and objectives. 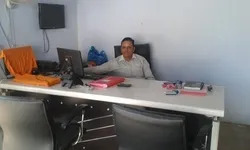 Right from providing top class products to their customization facility to the reasonable pricing structure, our facilities have mustered us massive clientele base all across the nation. We offer assortment of products and services that are highly appreciated by our clients for their promptness and customization facility. We are offering these products and services with the help and supervision of our highly experienced and qualified professionals. Apart from this, we are offering this service at very reasonable prices to huge clients. With heavy inventory & readily available stock, it makes easier for our clients to order at the time of emergencies, breakdowns at their Sites/Factories/Laboratories. We have a support of ultramodern and advanced infrastructure that sprawl over a wide area of land that is divided into various departments such as manufacturing, research & development, quality control and warehousing & packaging. Each unit is armed well equipped with the latest machines and up-to-date technology and is handled by our deft professionals. This well-equipped infrastructure helps our professionals to speed up the production process of products and to ensure the delivery of bulk consignment within the promised time frame.